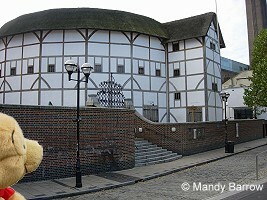 The fascinating story of the re-creation of Shakespeare's beloved playhouse. 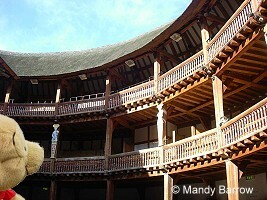 Visitors can see the reconstructed Elizabethan theatre, built with materials, techniques and craftsmanship of 400 years ago. The world's largest Shakesperian exhibition explores the playwright's London, Elizabethan theatre and the Shakespeare's influence around the world. 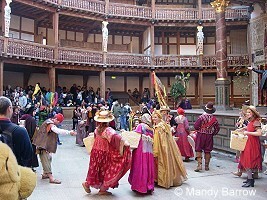 The summer season of plays sees Shakespeare performed in an authentic setting. A small straw thatched roof only partially covers the circular structure.